Revenue growth of 27.4% coupled with a significant increase in gross margin. 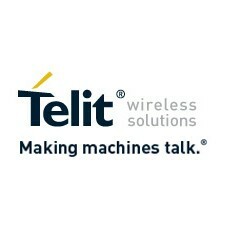 Telit Communications PLC (AIM: TCM), a global leader in machine-to-machine (M2M) communications, the chief enabler technology area for the Internet of Things (IoT), is pleased to announce its interim results for the six months ended 30 June 2014 which show the continued growth of the Company. First half revenues increased by 27.4% to $138.2 million (H1 2013: $108.5 million). Revenues from m2mAIR, Telit’s Platform as a Service (PaaS) and the Company’s business unit for value added, connectivity, cloud platform and other services increased by 283% to $9.2 million (H1 2013: $2.4 million). Gross margin increased significantly from 37.6% in H1 2013 to 39.5% in H1 2014. Adjusted EBITDA for the first half increased by 70% to $17.0 million (H1 2013: $10.0 million). Adjusted EBIT increased by 84.6% to $12.0 million (H1 2013: $6.5 million). Adjusted profit before tax for the first half increased by 94.7% to $11.1 million (H1 2013: $5.7 million). Adjusted net profit for the first half increased by 67.4% to $10.0 million (H1 2013: $6.0 million). Adjusted basic earnings per share increased by 55.2% to 9.0 cents (H1 2013: 5.8 cents). Net cash from operating activities increased by 13.4% to $12.7 million (H1 2013: $11.2 million). Net debt at 30.06.2014 increased to $14.6 million (31.12.2013: net debt of $11.7 million) mainly due to M&A activity during the first half of 2014. Net equity at 30.06.2014 increased by 24.4% to $98.8 million (31/12/2013: $79.4 million). Revenue for six months increased by 27.4% to $138.2 million (H1 2013: $108.5 million). For the fifth year in a row, the Company has reported significant double-digit growth. Gross margin increased significantly from 37.6% in H1 2013 to 39.5% in H1 2014, due to the Company’s strong positioning in the M2M industry, further improvements in the hardware business and the addition of the connectivity and cloud (PaaS) services to the business model, which contributes a higher gross margin. Gross profit for six months in 2014 increased by 33.8% to $54.6 million (H1:2013: $40.8 million). Research and development operating expenses (expenses before capitalization and amortization of internally generated development costs) increased by $10.0 million to $22.7 million (16.4% of revenues) compared to $12.7 million in H1 2013 (11.7% of revenues). R&D expenses increased mainly from the development of 4G LTE modules designed for use in the most demanding automotive and industrial M2M applications and continuing investment in m2mAIR and the PaaS. Sales and marketing expenses increased by $5.1 million to $23.5 million (17.0% of revenues) compared to $18.4 million in H1 2013 (16.9% of revenues). The increase is mainly due to investment in the automotive segment as well as in m2mAIR division. General and administrative expenses increased by $1.6 million to $11.2 million, while decreasing as a percentage of revenues (8.1% of revenues) compared to $9.6 million in H1 2013 (8.8% of revenues). Each and every financial parameter including: EBIT, PBT, EBITDA and cash flow from operational activities, improved during the first half compared to the corresponding period in 2013. The Company’s net equity increased significantly to $98.8 million in 30.06.2014 (31.12.2013: $79.4 million). This increase is mainly due to the Company’s continued profit making and the issuance of new shares as part of ATOP acquisition from NXP and in connection with the exercise of options. In April 2014, we completed the acquisition of the Automotive Telematics On-board unit Platform (ATOP) business from Netherlands-based NXP Semiconductors (Nasdaq NXPI). ATOP is an automotive grade solution for vehicle manufacturers to implement eCall or similar functionality from a single compact and cost efficient package. The ATOP product family delivers reduction in complexity and minimized costs in vehicle designs while improving customer data security and regulatory compliance. At the same time, we launched Telit Automotive Solutions, a new business unit which is to focus exclusively on the Automotive OEM and Tier-one markets. The acquired ATOP business unit has been fully integrated into Telit Automotive Solutions, expanding its market reach with solutions leveraging the expanded engineering and sales expertise, particularly in software-centric RFIs from Automotive and Telematics OEMs. The company first achieved automotive-critical global ISO/TS16949 certification in July 2012 and maintains one of the industry’s largest product portfolios for the automotive sector with particular emphasis on advanced technologies such as LTE and HSPA+. Industry analysts remain bullish with respect to the growth of M2M in automotive over the next several years. Analyst firm IHS™ Technology in its “Cellular Modules for M2M” report published in May 2014, indicated that the sector will sustain a CAGR of 35.3% (2012-2018) with shipped volumes going from 11.6 million in 2013 to 16.4 million in 2014 and 52.2 million 2018. The firm attributes the strong growth to three principal drivers: overall sustained global economic recovery, pending government legislation (such as eCall – Europe, Contran 345 – Brazil, ERA GLONASS – Russia) and expansion of LTE networks worldwide. “The acquisition of the ATOP business was the catalyst for building a dedicated Automotive business unit to better address Automotive opportunities and execute our strategy to become the market leader in this segment. Together with a significant customer base, ATOP brings additional expertise in automotive platforms to complement our already thriving automotive business. Our hard work and significant investments over the past few years have created a market-leading platform to capitalise on the ‘Internet of Things’ (“IoT”) through which we will continue to pursue the many exciting opportunities in the market and continue increasing our market share. We are very excited about the ONE STOP. ONE SHOP. concept we are delivering to IoT customers and adopters and are confident that with the unparalleled simplification it provides, Telit is even better positioned to continue leading the space of M2M solutions providers worldwide.